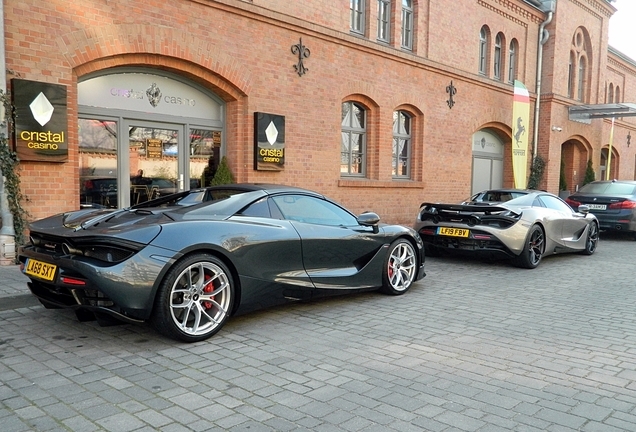 A textbook example of a highway spot, a set of nice photos from every single angle. 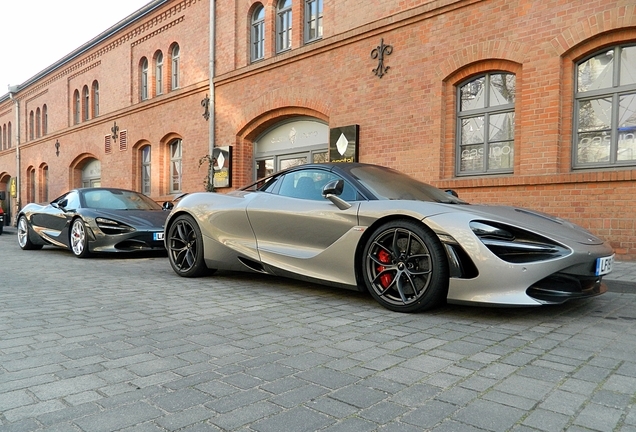 The spot offers a great look at all the amazing design features of the wildly popular 720S, and who would have thought after the initial harsh criticism. 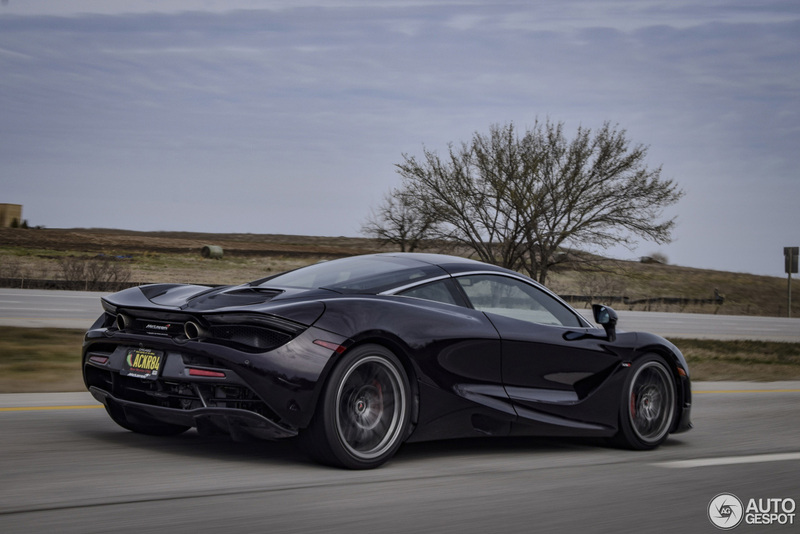 This McLaren 720S was spotted in Kansas by spotter OPspotters. 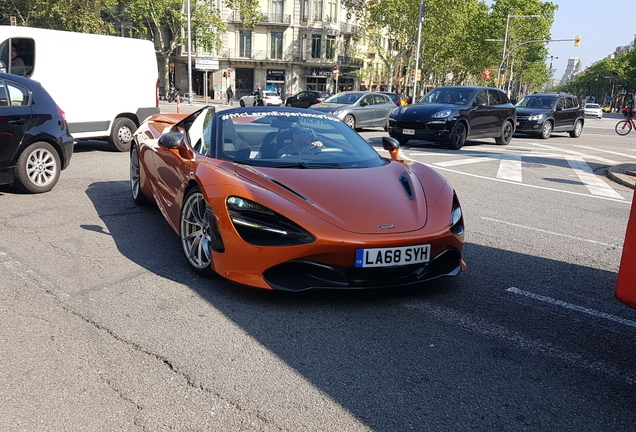 The successor of the 650S offer the same fundamentals of a carbon body and a mid-mounted V-8 sending torque to the rear wheels remain the same, but pretty much every detail has been tweaked or changed. 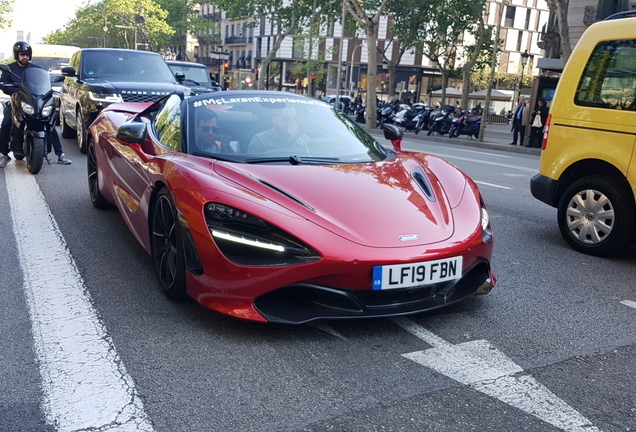 Visually, the most obvious difference is the loss of the 650S’s side air intakes, with the 720S looking sleeker and more muscular without them; air is now directed to the engine and radiators by a well-disguised channel next to the rear windows.